In an effort to economically assist rural areas of Alabama, the Department of Commerce is forging a rural development manager position. Greg Canfield, secretary of the Department of Commerce, said he expects to have the new position filled in the next few weeks, held by a ready individual with plenty professional experience. 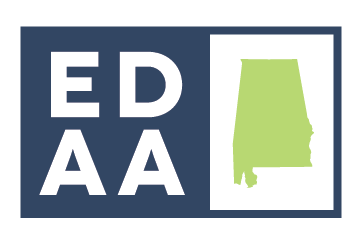 The position has been talked about and subsequently created by Canfield and Rep. Randall Shedd, R-Cullman, with collaboration with the Economic Development Association of Alabama. “Our goal is to bring rural Alabama up without bringing urban Alabama down,” Shedd said. EDAA works to keep the state growing and projecting forward economically. “Economic development in rural communities faces specific challenges that are not present in urban or suburban settings, and an advocate for those communities could provide a catalyst for more economic success in those areas,” said Jim Searcy, EDAA’s executive director. Rep. David Standridge, chairman of the House Rural Caucus, said the creation the position has been a priority of the caucus. He said believes Commerce, the state’s lead economic development agency, is the proper home for this specialist. “Rural Alabama obviously has its challenges as well as its unique opportunities in economic development,” Standridge said. “One problem is that a lot of rural counties and small towns don’t have the resources for an economic development specialist or a professional. Standridge said rural counties need a go-to person who can get answers and help them navigate the economic development process.